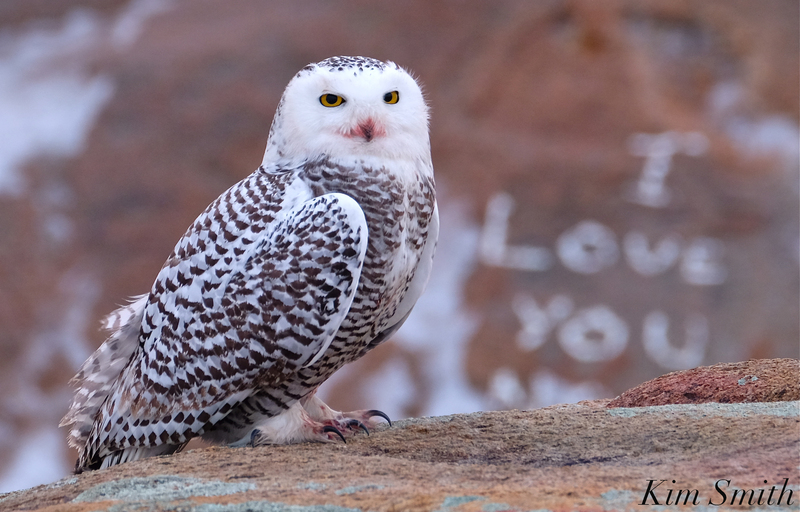 The winter of 2017-2018 has proven so far to be an irruptive year for Snowy Owls, as was predicted by scientists. In years when there is a lemming population boom, which is a staple of the Snowy’s diet, double, even triple, the amount of Snowy Owl hatchlings survive the summer breeding season. Arctic winter arrives and for whatever reason, either there is less food available or the first hatch year owls can’t hunt as well, a number of Snowies head south, both adults and juveniles, generally though, more juveniles than adults migrate. 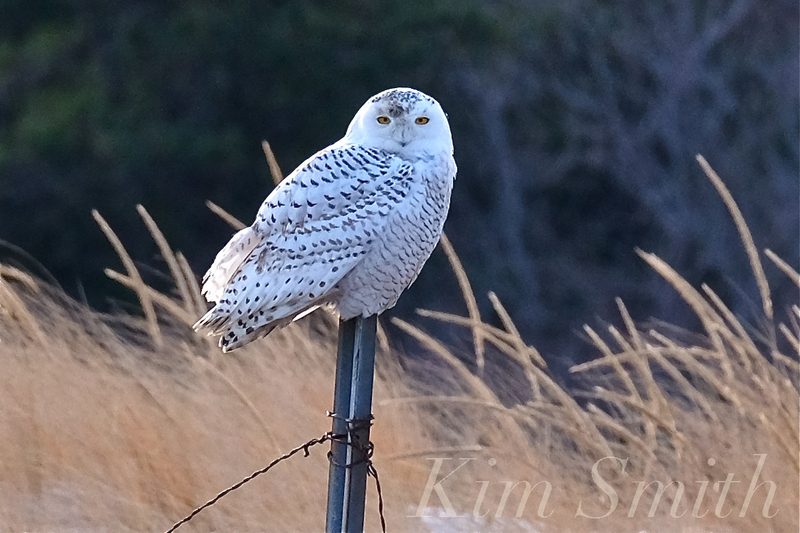 Snowy Owls are white birds, with varying degrees of brown, black, and gray feather patterning. They are North America’s largest owl by weight. As with most bird of prey species, female Snowies are larger than the males, by about one pound. That is considerable, knowing that the average weight of a Snowy Owl is four pounds. A male may grow up to 25 inches, a female to 27 inches, and the wingspan of both is about equal. Because females are larger and more dominant, they usually don’t migrate as far south, staking out territory further north. 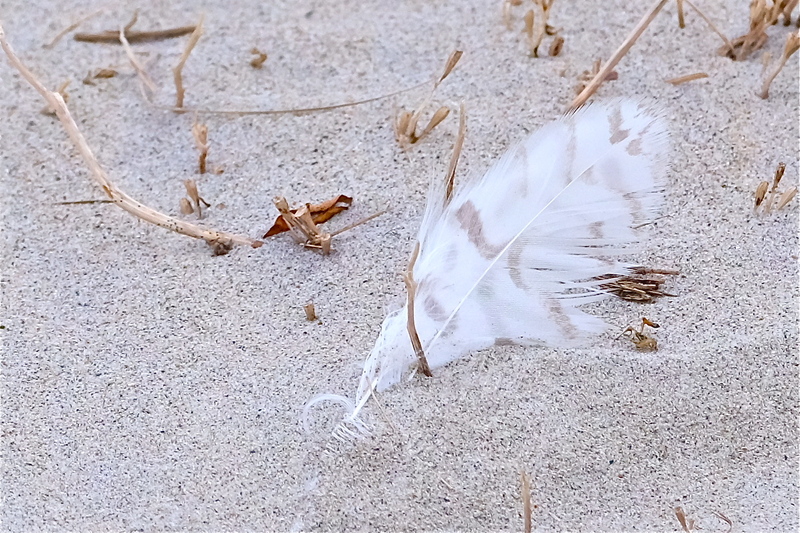 Typically in our area we see first hatch year males, although currently there is thought to be an adult male at Salisbury Beach. The Snowy at Bass Rocks is presumably a female. When out in the field, the hardest to tell apart are the darkest males and the palest females. In learning about Snowy Owls, I came across several very helpful photos of Snowy Owl specimens. And we have three examples, from Snowies found right here on the North Shore, from which to compare. In the photo below, you are looking at eight Snowy Owl specimens from the Cornell University Museum of Vertebrates. One through five on the left are males; six, seven, and eight are females. Notice how similar, yet different, are five and six (male #5, female #6). Snowy Owl males are generally whiter. Snowy Owl females tend to be larger. Snowy Owl male’s tails have up to three bars, the female’s have from three to six. Snowy Owl females have wider and darker marks and bars on the back, nape, and tail. Snowy Owl males have a larger white bib. Closeup of the intermediary male (five) and female (six). Underside of the Owls, in the same order. Comparing the above photos I think we can logically conclude that the Snowy Owl that was at Captain Joe and Sons in 2015 was a young male, with light markings and a large white bib. 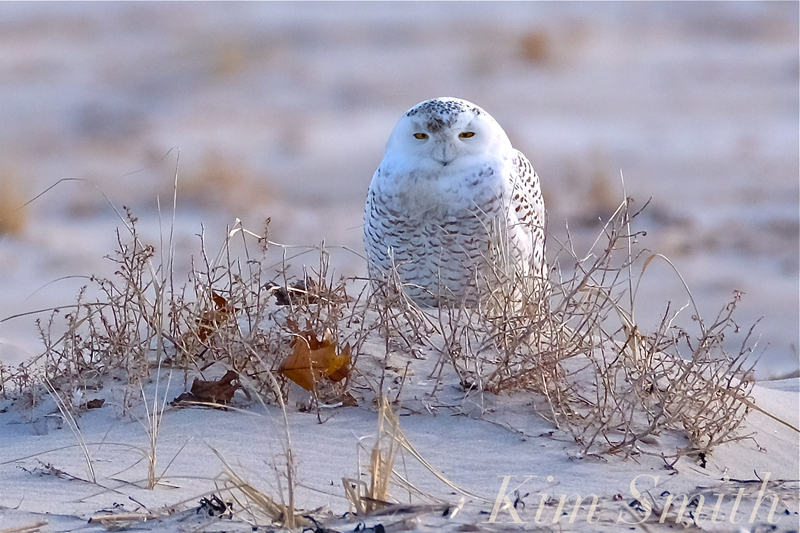 The Snowy Owl currently at Bass Rocks, I think it is safe to say, is a female, and most likely a juvenile. She doesn’t have much bib showing and her overall markings are wide and dark. 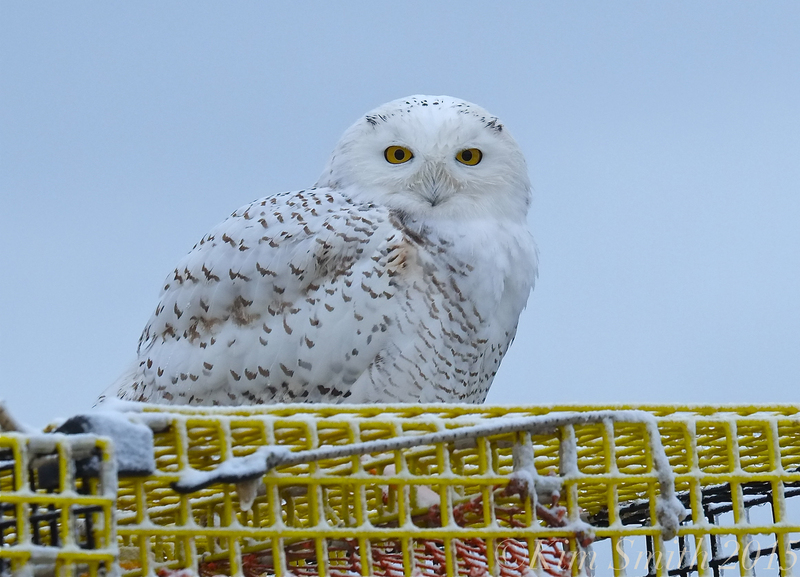 We have our own example of an intermediate–is the Snowy Owl recently photographed at Cranes Beach a juvenile male or a female? This entry was posted in Birds, Birds of New England, Cape Ann, Gloucester, Life at the Edge of the Sea and tagged Bass Rocks, Beautiful Birds of Cape Ann, Bubo scandiacus, Cranes Beach, female Snowy Owl, first hatch year Snowy Owl, first year Snowy, how to tell the difference between male and female Snowy Owl, juvenile female Snowy Owl, juvenile Male Snowy Owl, male Snowy Owl, Nyctea scandiaca, Snowy Owl on January 12, 2018 by Kim Smith.